City House is located to the rear of City Business Park and comprises a detached, two-storey office building benefiting from 35 car parking spaces, all set within a self-contained fenced and gated site. The building is steel portal framed and will be re-clad as part of the comprehensive refurbishment. The accommodation is available on a floor by floor basis or a whole. 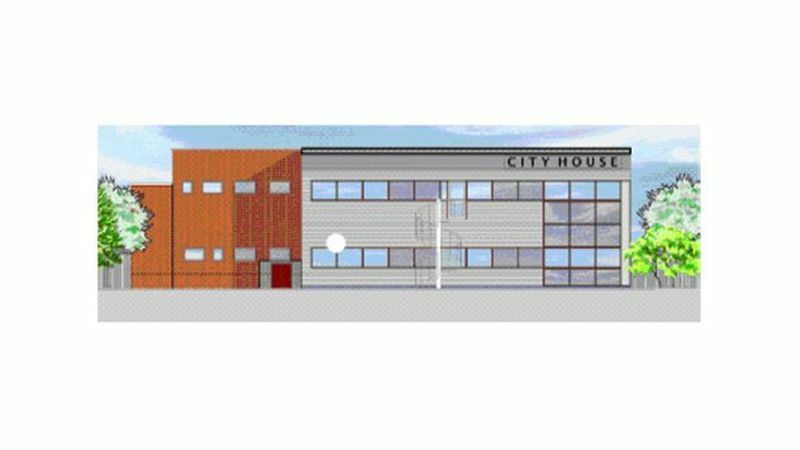 City House will benefit from A new reception area; Open plan offices; Suspended ceilings; Comfort cooling; New double glazed windows; New carpets; Fully integrated Cat II lighting; Outdoor terrace. Location: City Business Park is a new trade counter / office scheme located fronting the A612 Colwick Loop Road and is accessed off Private Road No. 8, some 2½ miles east of Nottingham city centre. The business park is located adjacent to one of Nottingham’s main arterial bus routes and immediately adjoins the newly redeveloped UK headquarters of ITT Flygt Limited, in an established commercial location. Occupiers in the immediate vicinity include Ken Wilkins Print, Texaco, Jewson and City Electrical Factors. Located in close proximity to City Business Park is Nottingham’s Victoria Retail Park which includes a variety of retail operators such as Morrisons, B&Q, Next, Halfords and McDonalds. Terms: The property is available on new FR&I Lease, terms to be agreed. Service charges: There will be a service charge in relation to common areas. Full details available from the selling agents.